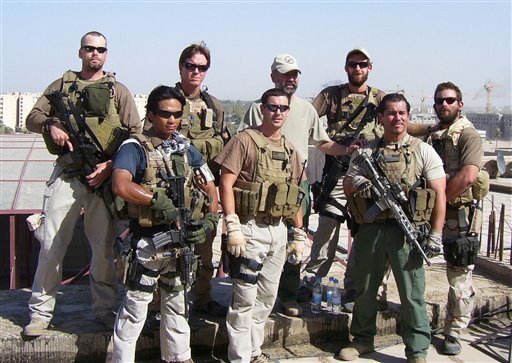 U. S. Marshals special operations should be equiped like so. Other federal agencies? 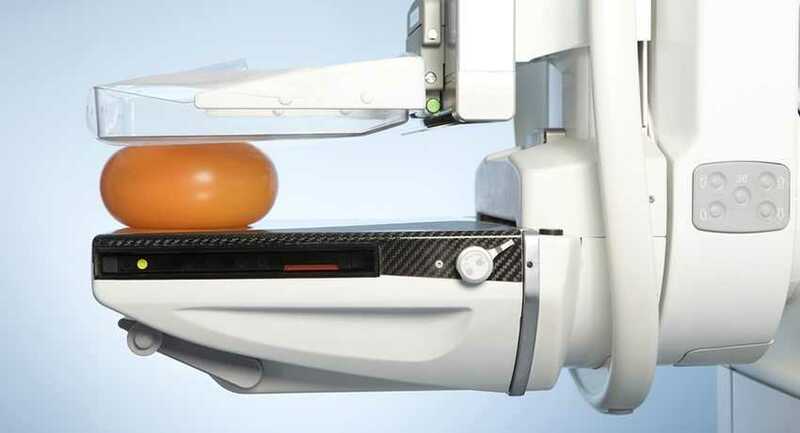 In the last few years, we out here on the fruited plain have heard over and over that for some reason, various government agencies are spending millions on “military style” equipment. 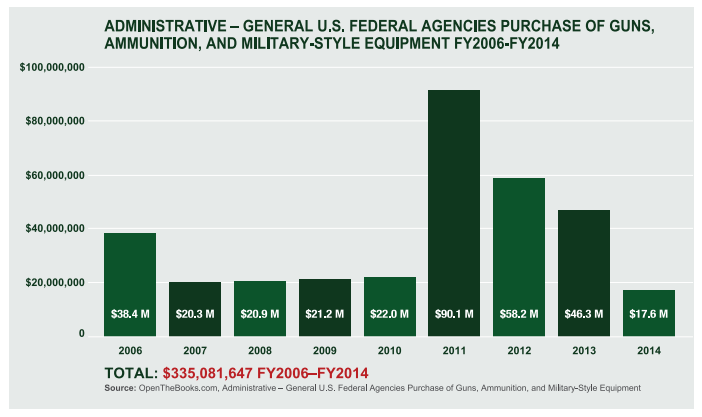 Thanks to American Transparency, the people behind OpentheBooks.com and their report titled, “The Militarization of America” we now know what the non-military agencies spent – and what they spent it on – from 2006-2014. 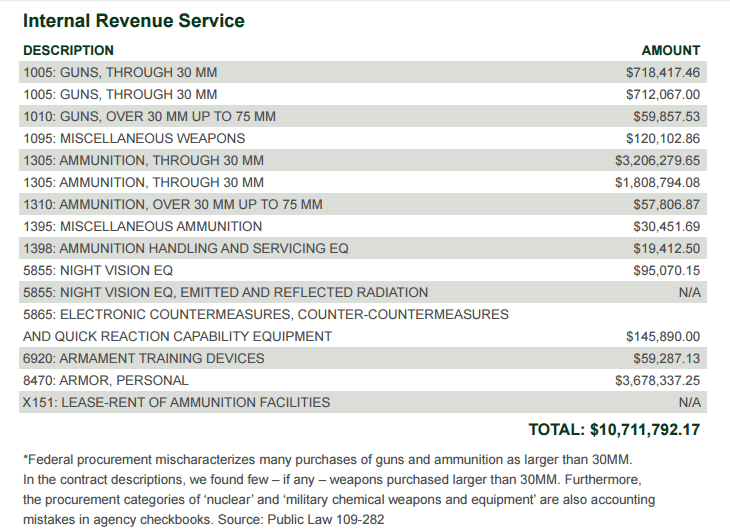 $1.48 BILLION worth of guns, ammunition and various other pieces of equipment. When it comes to say, the FBI or the U.S. Marshall’s service, the Border Patrol or even ICE, being armed to the teeth is to be expected. They are supposed to be the good guys with the guns. But this list? Barack Obama occupied the Oval Office in 2009 when the Democrats controlled the purse strings. TEA Partiers swept in to Congress in 2011. 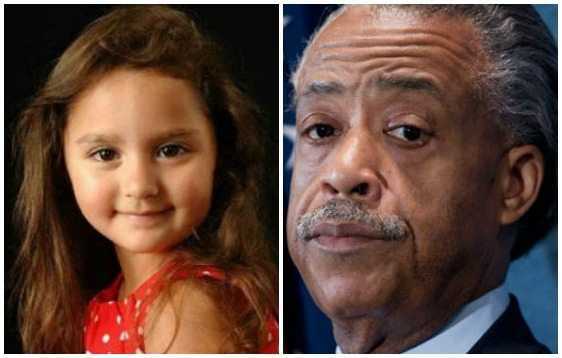 Things that make you go hmm…. The data for the report from American Transparency came from information available thanks to the 2006 Federal Funding Accountability and Transparency Act. It is systematically cataloged in very efficient tables and graphics that tell the story of government spending on “equipment” like this. And that’s just the IRS. Page 23 of the report outlines what the FDA and Health and Human Services spent. (Why do they need close to a million dollars worth of ballistic vests systems? Just curious.) Overall, that particular department is the one with the most unexplained spending. 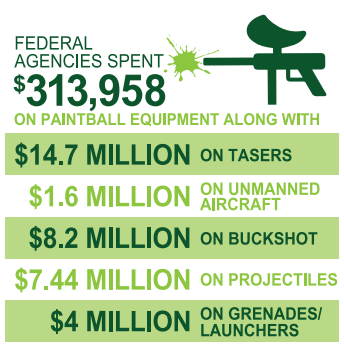 The 13 federal agencies that make up the law enforcement arm of the government spent $1.1445 Billion that was split close to evenly between equipment and ammunition. They also have added tens of thousands of officers. 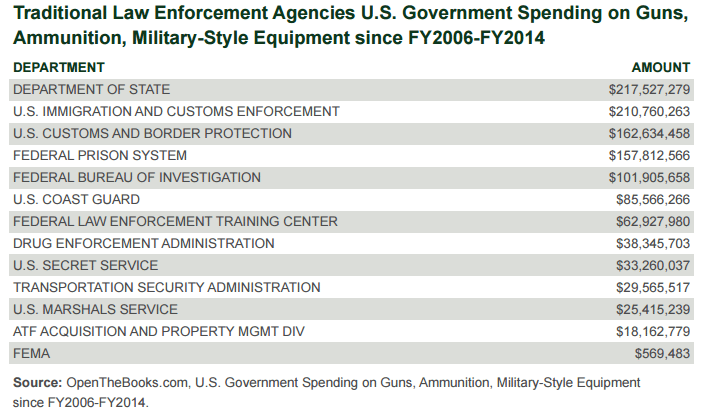 Yes, these agencies are needed, and a lot of the spending is justified, but still…why so many and so much? For years now, the government has been loading up on defense equipment that could easily be used for offense in any conflict. Now, the question is…who are feds thinking they are going to need to fight? The full report is worth a read. Follow this link to open it in a new window. 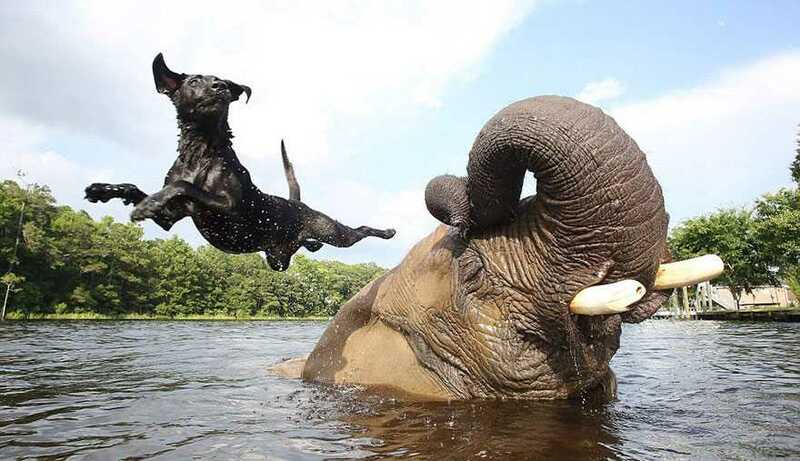 [Watch] Elephant & Dog = Best Friends!